Owning and maintaining a home is no small task. There are a lot of moving parts that need to be working to keep your home running smoothly. All these systems have varying lifespans. Major home systems and appliances all need to be upgraded after a certain number of years. Being aware of when their lifespans are up can help you be prepared for the additional cost as well as keep your eyes open to make sure your systems or appliances are performing efficiently. Lifespans are affected by many different factors. Year manufactured, brand, frequency of use, wear and tear, and coding regulations. 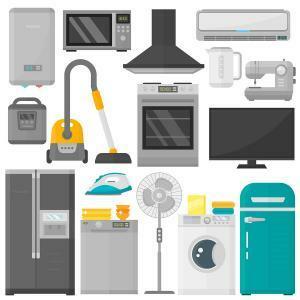 Below you will find some suggested lifespans for your appliances and home systems. Two of the biggest factors to consider with appliances and systems are age and brand. Building codes in the 60s, 70s, 80s, etc. are very different than today’s. Standards of material have also greatly changed. Newer materials will have a much longer lifespan than those used in decade prior. This is especially true in regard to plumbing and ductwork. When it comes to the lifespan of you of your systems and appliances, brand matters. A.J. Perri carries top of the line Carrier products. Carrier uses high quality materials to create energy efficient, long-lasting products. Most Carrier systems come equipped with 10-year warranty. Replacement isn’t always your only option. If your system or appliances seems to have a shorter lifespan, it may just need a repair or the replacement of key parts. This could improve its lifespan and save you money in the short term. If it’s time to replace your HVAC system, or plumbing get in touch with us to learn what your upgrade options may be.